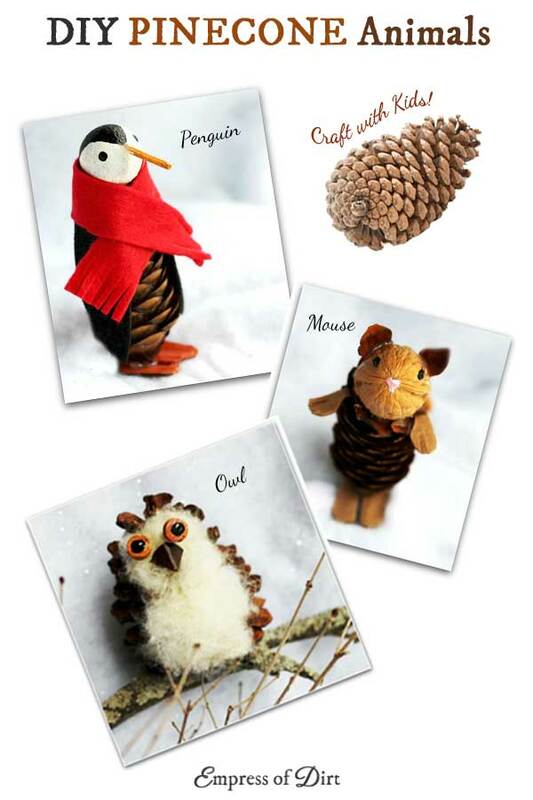 Make pinecone animals including owl, mice, and penguins with these easy instructions. Use them as ornaments or natural play toys. 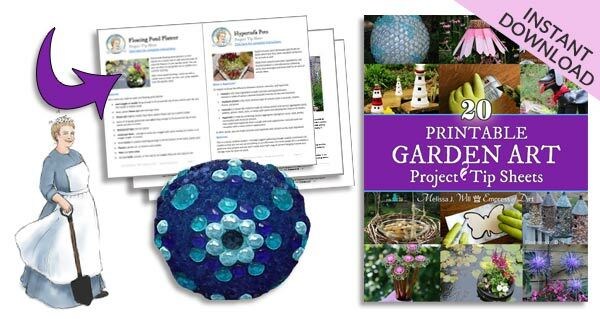 If you’d like more pinecone project ideas also see: 15 Pinecone Craft & Decor Projects. 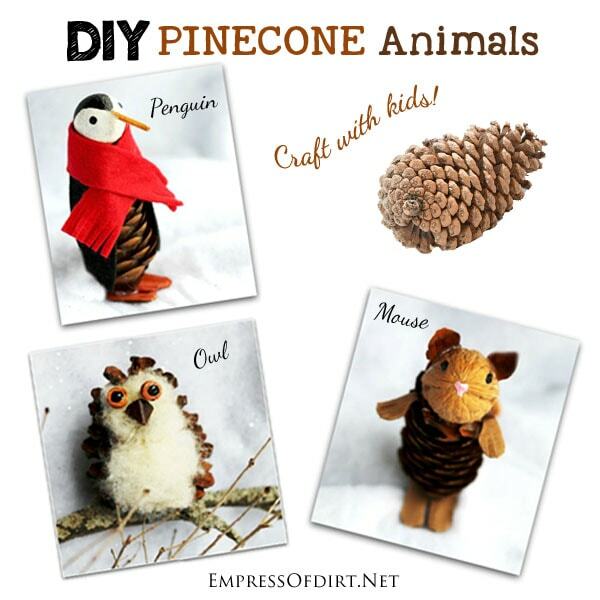 There are plenty of animals you can make from pinecones. The instructions here are for owls, penguins, and mice. Depending on the shape of pinecone, you can also make rabbits, hedgehogs, cats, dogs, birds, and more. Keep in mind that while these will make nice toys, they are quite delicate, so they’re only suited to little ones with careful hands. 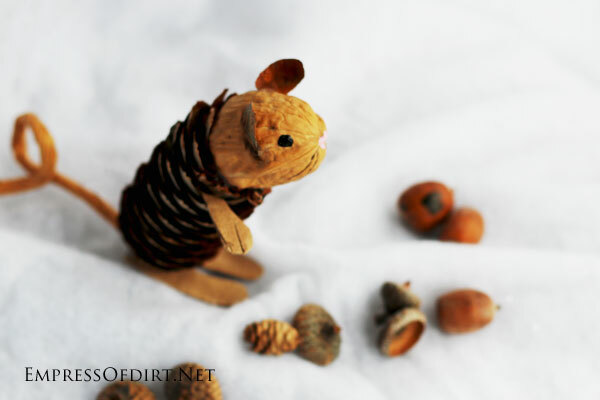 The critters also work as ornaments: jump add a loop of ribbon to hang from a tree or mantle. Or, make a bunch and hot glue them to a wreath for a creative greeting at your front door. 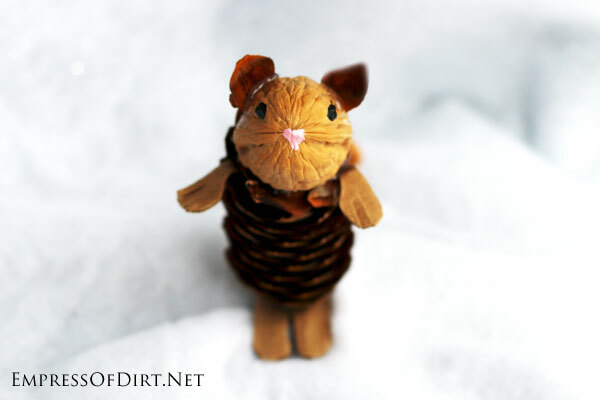 I’ve dressed up these pinecone animals with scraps of felt and beads. You could also use other scrap fabric or whatever you have in your craft box. I’ve shown everything in the photo (below) in case you’re not familiar with some of the items and linked them to products at Amazon using my affiliate account. Scroll down for details on making each of the animals. 9. 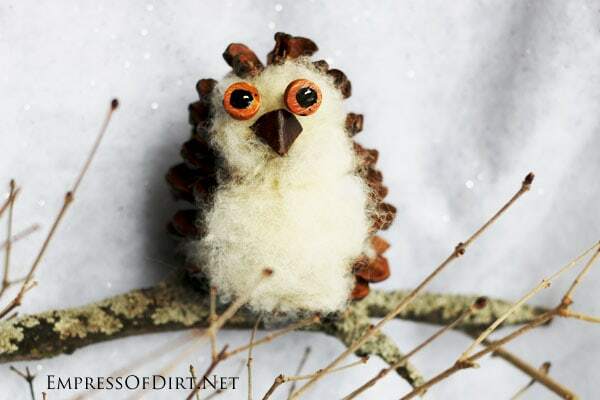 Pinecones | The owl is made from the rounder pinecone. 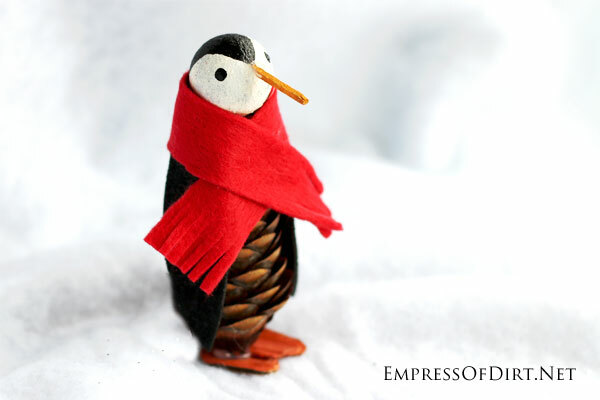 The penguin and mouse are made from long, narrow pinecones. This guy is my favourite! 1. Everything is joined together using hot glue. 2. Use a narrow pinecone. Position it upside-down (see how the seeds are facing up, not down–just looks better in my opinion). 3. Trim off both ends of the pinecone to provide a flat surface for attaching the head and feet. I use garden pruning shears to clip the pinecones (they can be tough to cut!). 4. Head is made from a small, painted Christmas ornament. You could use any round item (like a wood bead) that can be painted. Paint the entire ball white, allow to dry, then add black details as shown in photo (top of head and eyes). 5. Nose is a piece of wood craft stick painted orange. If you want a baby penguin, use a triangle of orange or black cardstock. 6. Wings can be made from any black paper or cardstock. 6. Red wool felt scarf hides the glue holding the head on. It’s simply a rectangle of wool felt with the ends cut to look like fringe. 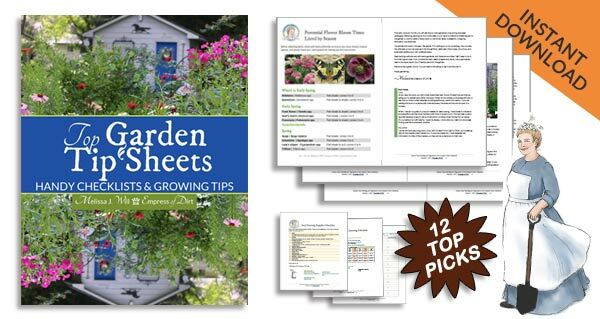 Related: 12 lovely nature craft ideas here. 2. 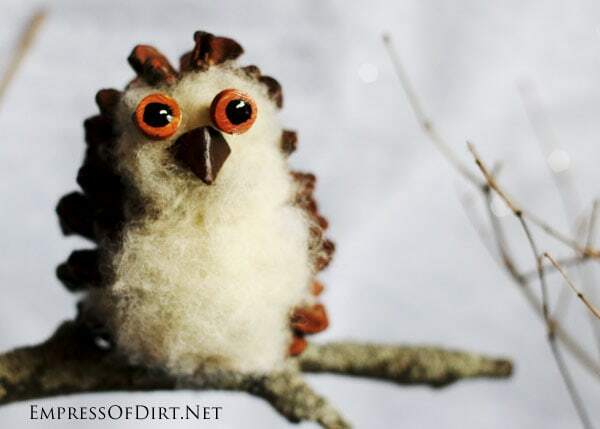 Use a round / oval pinecone for the owl. 3. The head and belly are defined with wool fleece. 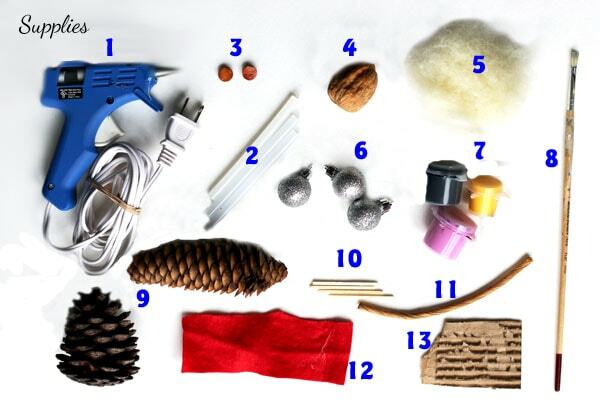 You could also use cotton balls or toy stuffing (tease it first with your fingers so it forms one piece). 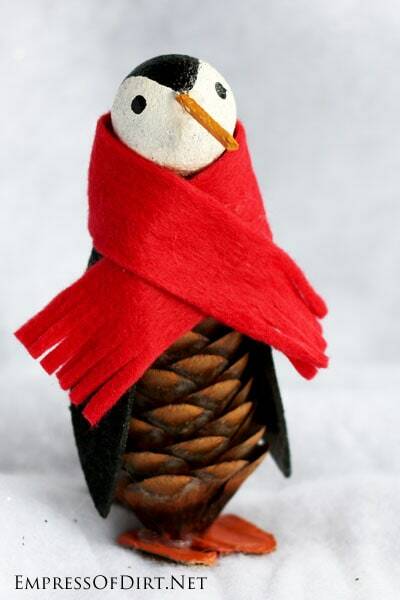 Use a chopstick to push the fleece into the crevices of the pinecone or hot glue it in place. The head area is smaller than the belly. When it looks good, you’re ready for the next step. 4. I used self-adhesive styrofoam for the eyes. I painted them a chestnut orange, let the paint dry, and then added black pupils with dots of white paint. You could also use eyes ready made for toy making. 5. The beak is a triangle of cardstock painted brown and folded in the middle. Hot glue them on and you’re done! Love the beauty of autumn leaves? Try this DIY falling leaves craft! I used to make these when I was a kid. Truthfully, I find them kind of goofy looking but little kids seem to find them very sweet. I made my mouse standing up but you can also make them standing on all four hands and feet if you prefer (there’s lots of images online to refer to). 1. Everything is attached together using hot glue. 2. Use a narrow pinecone, upside-down (just looks better this way). Cut off the tips of the pinecone to allow good gluing surfaces. 3. The head is a walnut. I’ve also seen this done with dry corn husks. Use anything that looks right to you. I glued on pinecone seeds for ears, used dabs of black paint for the eyes, the nose is a dab of pink paint, and I used a black sharpie to dry fine whiskers from the nose. Walnut warning: the walnut is quite heavy for the head and may make your mouse tip over. It’s fine if you’re using it as an ornament or can pose it with something propping it up though. 4. The hands and feet are plain corrugated cardboard. I’m sure they have almost no resemblance to real mice hands and feet but this is a craft, not a science project. 5. The tail is a piece of pre-twisted rush twine. Use anything you have that looks tail-like. Add a loop of string to hang it as an ornament or pose it as a decoration. It would look very cute on a cheese tray at a party! Love your little pinecone ornaments, guess out better get out my craft boxes and make a few. Merry Christmas to you and your family and All the Best in 2017.